The 33rd Control international trade fair for quality assurance will open its doors in just over four months. Roughly 900 manufacturers and distributors from more than 30 countries will present innovative solutions for industrial quality assurance from the 7th through the 10th of May, 2019. Long-standing, successful partnerships with renowned research facilities and industry institutions such as the Fraunhofer Institute and the Fraunhofer Vision Alliance will continue in 2019. A special show on 330 square metres of floor space with roughly 20 exhibitors (hall 6, booth 6401) will showcase various technologies and solutions for contactless and non-destructive measuring and test technology. With numerous displays, the special show being organised by the Fraunhofer Vision Alliance for the 15th time will offer more than just orientation for the selection of a suitable technology for the implementation of a great variety of test tasks in any conceivable application. Within the framework of this special show, the exhibitors will also present complete contactless measuring and test systems for the implementation of concrete tasks. For example, light section techniques, band projection, white light interferometry, holography, confocal measuring processes and time-of-flight will be covered. Furthermore, measuring and test technologies which are becoming more and more important for examining material structures will also be presented, such as computer thermography and X-ray systems. Industrial manufacturing is subject to continuous change. Demands placed on the levels of quality to be attained in production are becoming stricter and stricter – not only for the visible areas of the respective products, but rather at the micro and nano levels as well. New technologies and optimisation in the fields of measuring technology and image processing will be necessary in order to do justice to more and more demanding requirements for quality and individuality, as well as rising price pressure. As a logical consequence, the IPA (Fraunhofer Institute for Production Technology and Automation) will present the most up-to-date findings in this area for the 12th time at Control. The contemporary issue of “Machine Learning and Vision – a Technological Revolution Thanks to Artificial Intelligence and Modern Image Processing” will be at the centre of attention at the special show with live demonstrations in 2019. 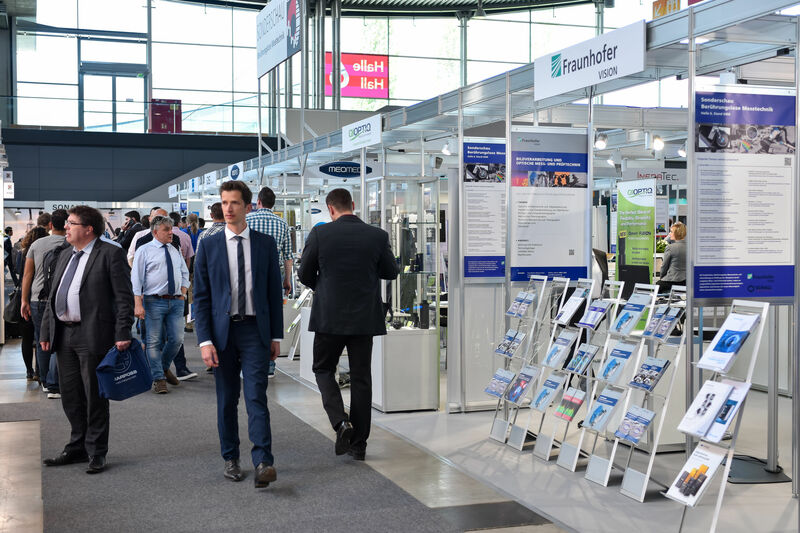 Trade fair visitors will be provided with well-founded insights into how artificial intelligence and new types of image and signal analysis are being used in industrial settings. The Event Forum will focus attention on the capabilities of machine learning processes and camera-aided image processing systems for quality assurance, and their possible range of applications. These include, for example, self-learning error detection based on the archetype of human vision, use of deep learning algorithms and embedded vision systems. Flexibly scheduled live demonstrations of practical examples and solutions and a digital presentation of the exhibits at an online portal will make it possible for expert visitors to gather targeted information concerning pioneering technologies and their possible applications in the field of modern measuring and test technology. This year’s Event Forum will be held in the new hall 8, i.e. Control’s “Silicon Hall”. As is the case every year, the exhibitor forum is an additional crowd-puller for Control visitors and exhibitors. In 2019 as well, it will provide participants with the opportunity of transferring theory to actual industrial QA practice in an ideal fashion by means of technical presentations and best practice reports. Visitors will be able to derive solutions for their quality assurance tasks from the individual application cases introduced at the forum.